We are proud of our many strengths here at Little Adventurers which first and foremost includes our caring, professional and committed staff team. We recruit only qualified or very experienced staff of the highest calibre who have that extra empathy and dedication to be part of an excelling nursery team. Our highly experienced nursery Manager has an endearing passion for early years education and is committed to fostering an environment that is warm, stimulating and fun for all children in our care. 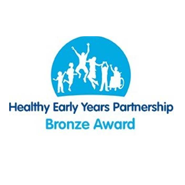 Healthy Early Years Bronze Award – We are delighted to have been offered the opportunity to be part of a pilot project being developed by the Mayor of London and to be offered to all early years settings within London from 2018. The essence of the award is about promoting healthy lifestyles to young children and their families. 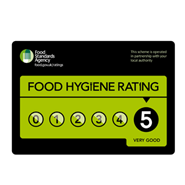 This is central to our ethos and we are thrilled to have been awarded the Bronze award and we are now working towards Silver. Carly Campbell, Nutritional Therapist, DipION, FdSc, mBANT, CNHC. 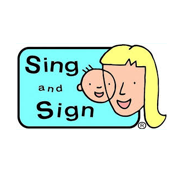 Our nursery is affiliated with Sing and Sign, the nationally recognised, award- winning programme which encourages communication with babies as early as 5 to 6 weeks old. Baby signing offers many benefits in a childcare setting as babies are able to not only understand but communicate their wishes through signing whilst speech is still emerging. 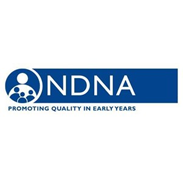 We are a member of the National Day Nurseries Association (NDNA) whose mission is to promote quality in early years. 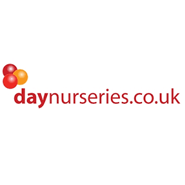 daynurseries.co.uk We are featured on the leading nursery review website and are proud of our many parent reviews. Favourite celebrations include; our annual Teddy Bear’s Summer Picnic, (a suggestion of one of our first children to join our nursery), Royal Celebrations such as the Queen’s 90th Birthday, Sports Days, Christmas Nativity and Christmas parties. We are particularly proud of our nursery Community Days where we welcome the whole family to join us at a suitable outdoor venue on a Saturday morning. Our nursery manager leads the event which is supported by other nursery staff where children spend quality time outdoors playing, discovering and den making with their own families as well as their nursery family. Our bespoke nursery was designed with the safety and wellbeing of each individual child in mind including the highest levels of security. In our well-equipped nursery rooms we favour high quality wooden toys and resources as we believe not only are they more durable but we prefer our little ones to explore interesting textures which promote sensory exploration and creativity to stimulate brain development. We are proud of our fantastic garden with all-weather astro turf, a purpose built mud-kitchen, playhouse, pergola, tepee, climbing frame and our very own vegetable patch and growing areas. Children enjoy and learn so much from planting, nurturing, harvesting and eating our own vegetables! Outdoor play and learning is a very big part of our ethos and our garden provides children with equipment and resources for endless hours of happy playing and learning adventures!